It ‘s a bit of time I wanted to build a robot with legs. In particular I was fascinated by the possibility to create a fluid movement in the robot, close to nature. Well, I discovered that it is not easy. The walk, which to us seems a simple thing, is very complex to make for a robot. 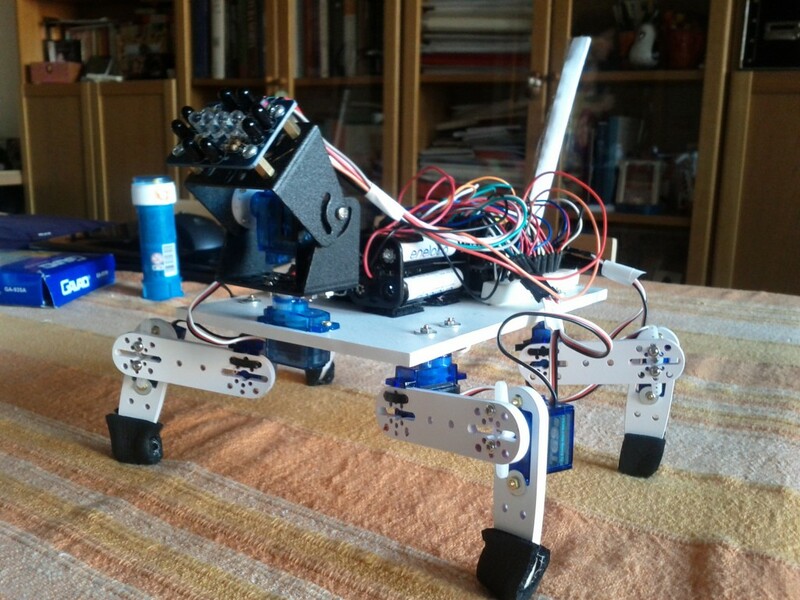 Even more difficult if you want to make a the robot with only 2 motors for each leg. 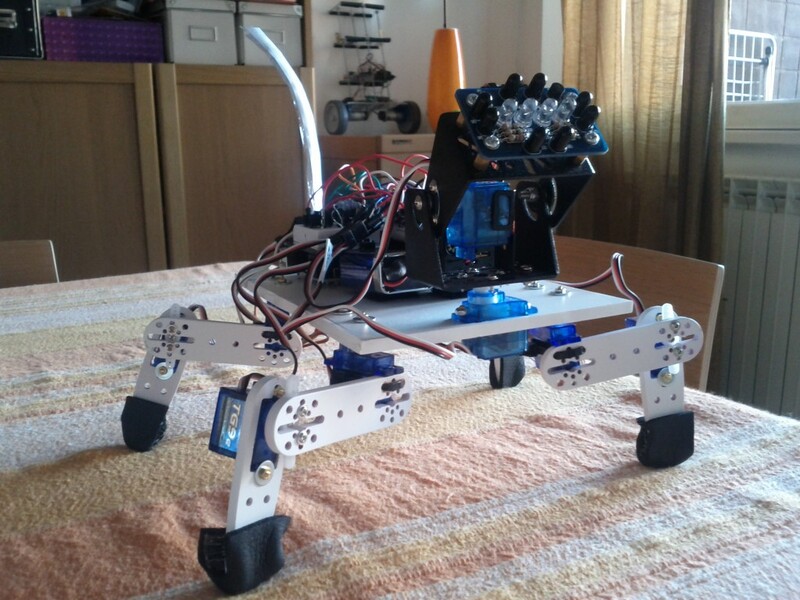 I have to thank Oddbot for his quadrapod that inspired the walk of my robot dog. I also wanted a robot that interacts. Almost all quadrapods / hexapods you see just walking around. At best, they have an ultrasonic sensor to avoid obstacles. In fact, walking is often the goal in these kind of little robots. But for me it was not enough, so I tried to do something more. 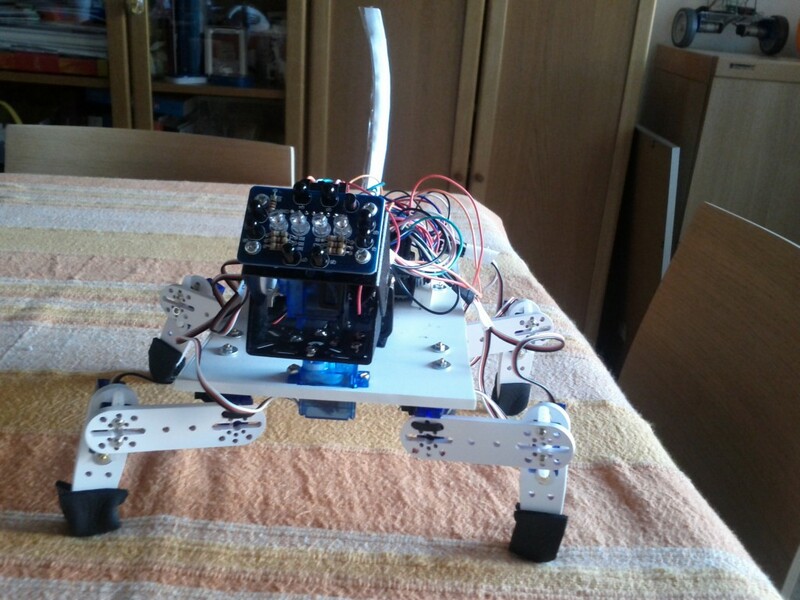 Once built the chassis and installed the legs, I thought that it would be nice also to make a head and a tail. 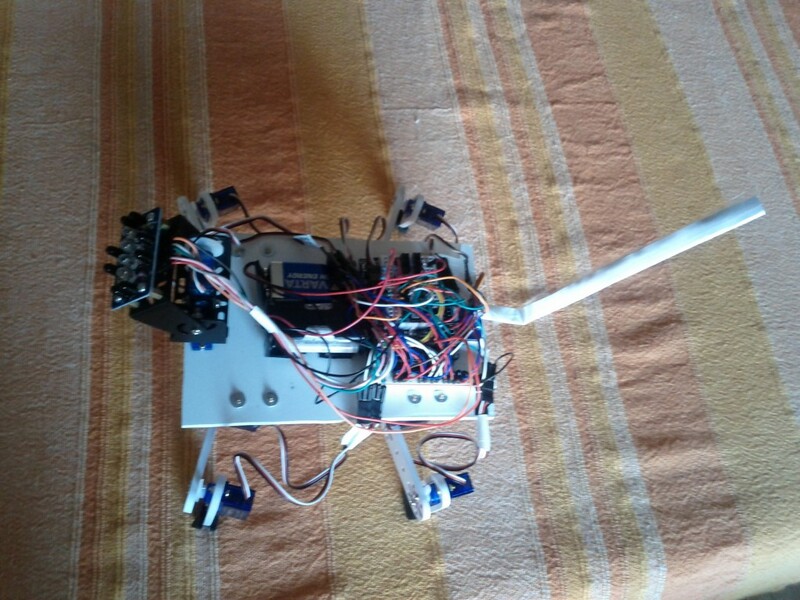 The head is made with a compound eye, and a pan & tiltmovement that I had already used for the robot diffident (link). I disassembled and reused it. 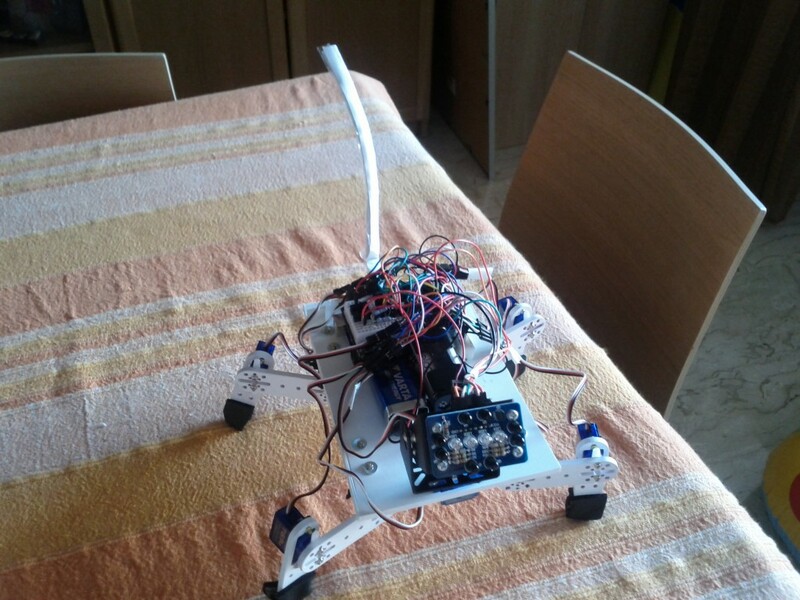 The tail is just a servo motor with a sheet of paper wrapped around itself. In this video there is the test of robot walking. The head and the tail are not present. And then the final video, with the last adjustments and the implementation of the head and the tail. The dog after a ride to show his skills as a walker, waits. Approaching the dog, it follows the hand with his head. But if you get too close the dog backs away. Turning left and right, the dog turns the body, to follow the hand. Here the code with Arduino (link).